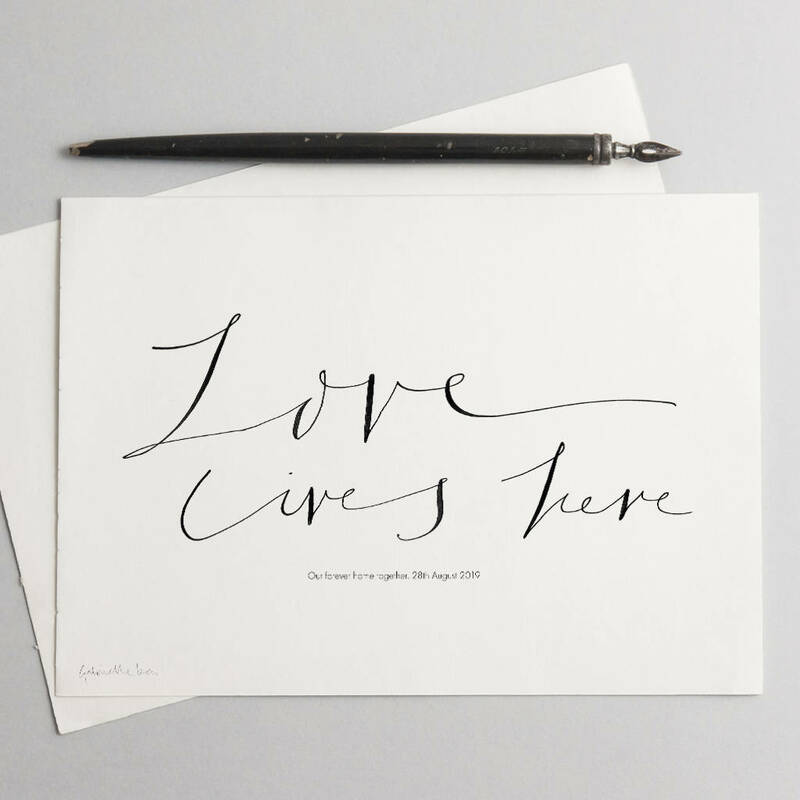 ‘Love Lives Here’ is a stylish black and white personalised print celebrating love and home. Home is the best place to be with all the love to be found there. 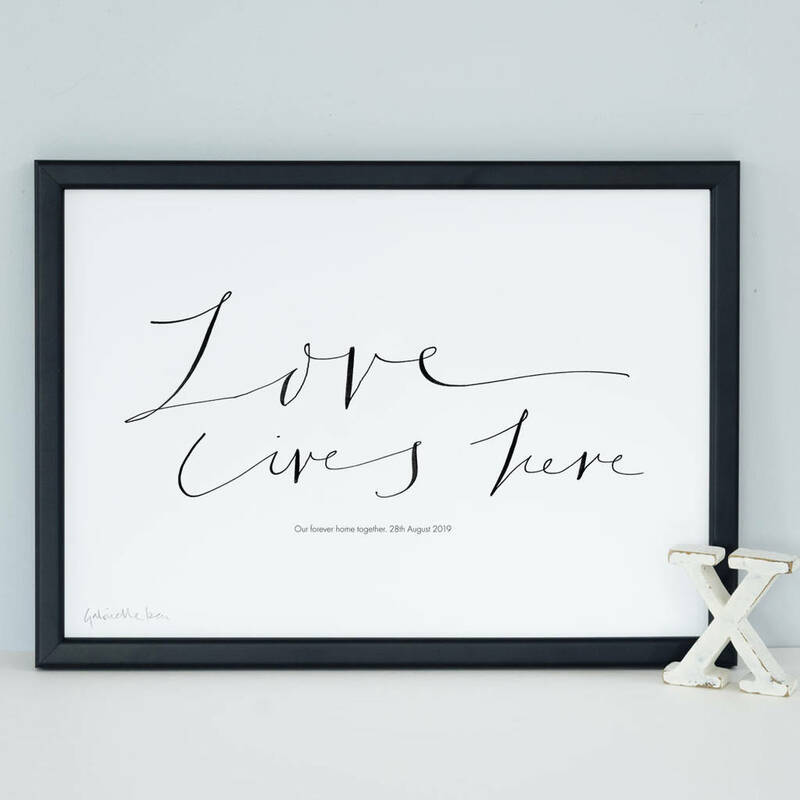 This personalised art print is the perfect wall art to decorate your space with. 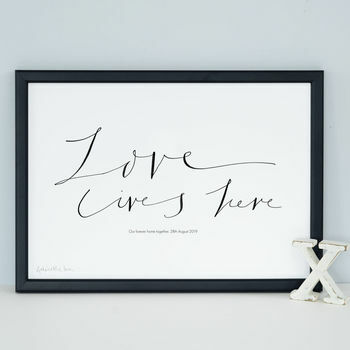 It’s an original way to celebrate your special place and would make an ideal new home gift too. 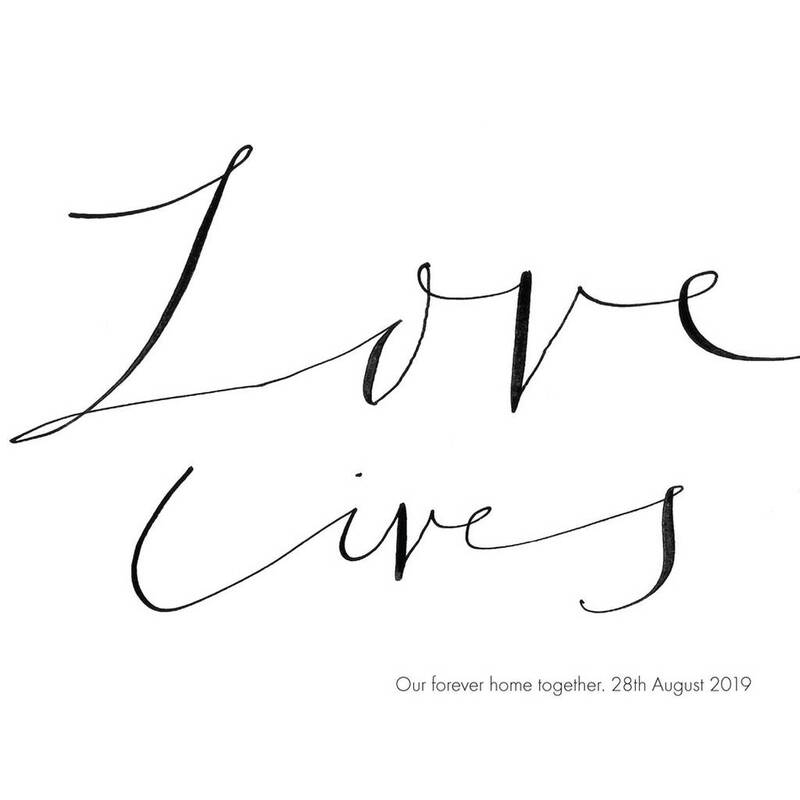 ‘Love Lives Here’ personalised art print would make a thoughtful wedding gift, engagement gift, anniversary gift or a bridesmaid gift. It would also make lovely gifts for Christmas, Valentine's Day, a special occasion gift or a birthday gift.